“Rock stars don’t come much bigger, better known, or charismatic than Ozzy Osbourne. 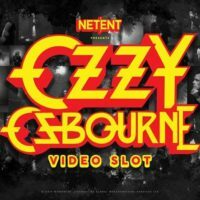 Thanks to his larger-than-life personality and outstanding contribution to music, Ozzy has developed a loyal and passionate following over the past 50 years – we can’t wait to bring this to the reels for players to enjoy.” Bryan Upton, NetEnt Director of Game Products. “NetEnt are the market leaders in their field and we’re incredibly excited to add another of our artists to the exciting NetEnt Rocks family of games,” Barry Drinkwater, Chairman of Global Merchandising Services.